Can we say #CoupleGoals a hundred times more?! 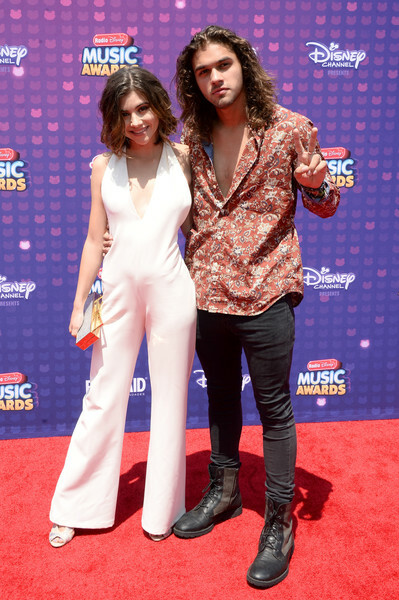 Power couple Olivia Stuck and Nathan Harrington looked so incredible as they attended the 2016 Radio Disney Music Awards today, April 30, 2016 at the Mircrosoft Theater in Los Angeles, California. Olivia Stuck looked so beautiful and radiant rocking a white jumpsuit at the event and Nathan Harrington looked very cool in a patterned shirt, jeans and combat boots. Nathan Harrington shared the photo below at the RDMAs through his Twitter account. I’m glad Olivia Stuck and Nathan Harrington had a terrific time at the event! Previous Article: Isabela Moner Looks So Gorgeous At The 2016 Radio Disney Music Awards! Next Article: Paris Berelc Looked So Fierce And Fabulous Rocking An Amazing Attire At The 2016 Radio Disney Music Awards!